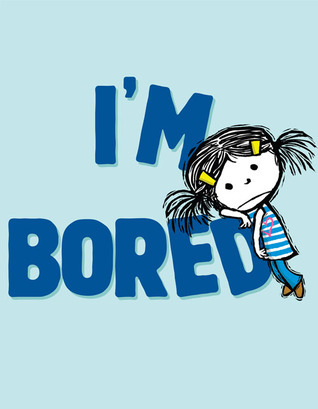 There is NOTHING boring about being a kid, but one little girl is going to have to prove it in this anything-but-boring picture book from comedian Michael Ian Black.Just when a little girl thinks she couldn’t possibly be more bored, she stumbles upon a potato who turns the tables on her by declaring that children are boring. But this girl isn’t going to let a vegetable tell her what’s what, so she sets out to show the unimpressed potato all the amazing things kids can do. Too bad the potato is anything but interested…. The Illustrations: The illustrations in this book are simple and straight forward. The focus of the illustrations are on the main characters, with little detail or no detail given to the background. the images look like simple pen drawings with touches of color. I really enjoyed how simple these images were- they really went well with the feel of the story and complemented the humor in the story well. My little one laughed at the pictures and found it easy to follow along with multiple pictures on the same page. The Story: What parent hasn't had a child who was bored and nothing would do? The little girl in this story (unnamed) has that very problem, and when she meets a bored potato, it turns the problem back to her. The little girl tries to convince the potato that kids aren't boring, while the author cleverly shows the reader that the little girl is actually entertaining herself in the process. The story as few words on each page and is sure to make even the smallest readers laugh along with their parents. I am usually skeptical about "celebrity" kids books, but this one was absolutely a winner. I will be picking up a finished copy of this book for my liittle one for Christmas. I recommend this for ages 2+, but it would make a good read along for even younger readers. That's pretty cool. The kiddo in the story ends her own boredom by proving to the potato that kids aren't boring. Of course, I suppose it's a good thing the main character didn't pick the potato up and take it to her mom to have french fries lol! !